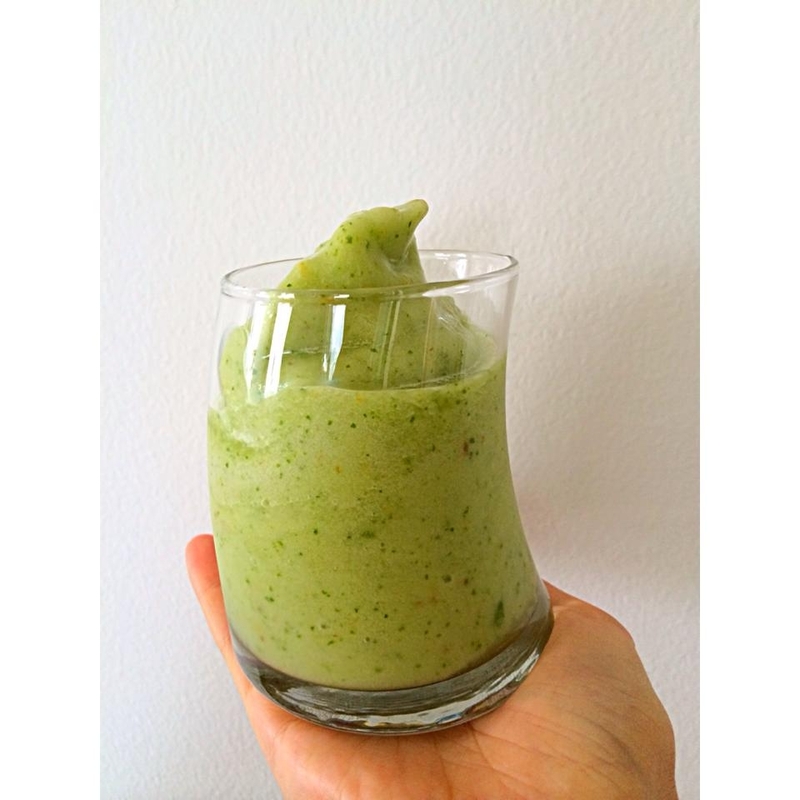 Very refreshing smoothie with perfect consistency and very healthy properties. The secret to a perfect smoothie consistency is using frozen fruit and no ice. I blended frozen bananas, frozen pear (I always freeze the fruits that are about to get too soft or ripe), water, 1/2 scoop of vanilla shakeology, and 1 cup of spinach. Its turned out so perfect and delicious. Im in love with banana pear combo.